Combine all ingredients and pour over skirt steak. This is enough marinade for about 2 lbs. 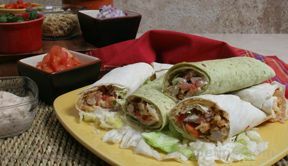 Soak meat for at least 2-3 days in refrigerator, turning occasionally, making sure that meat is covered with marinade. Put on grill. Cook until tender. 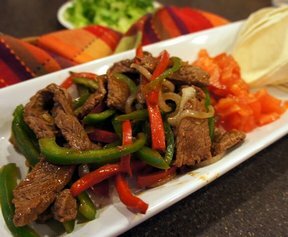 Cut into fajita strips. 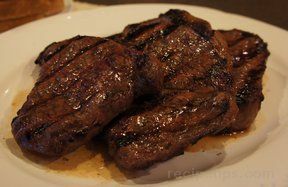 Skirt steak must be tenderized.